Subj: Re: Incredible Hulk #712: Who gets angrier Cho? Hulkfans? or Thorfans? Reply Subj: Incredible Hulk #712: Who gets angrier Cho? Hulkfans? or Thorfans? 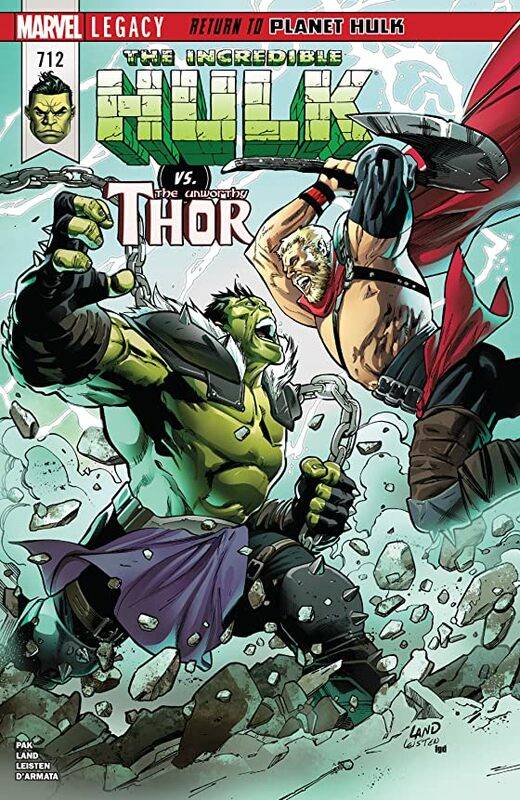 The morals of the story may stoke the ires of both Hulk and Thor fans. If you have the power of The Hulk then you can beat Odinson (sans Mjolnir). If you have the mind of The Cho then you can persevere better than Banner (at Hulking out). Finally we get an all out, memborable battle that the great cover gives justice, in this latest tired round of The Guantlet. More of the same very good art. Next issue is more of the same with Chulk's trying to defeat the dully unnamed "The Warlord". And somehow he has finagled himself a nuke from the USSR that could end up breaking the world. Not sure anything can upset most Thor fans more than Jane running around being Thor at the moment. Seemed like this issue was sort of an inverse of the Thor Ragnarok situation. Very strange. I mean based on this logic Cho has as many clear wins over Thor as Banner Hulk did (with his only one being in the largely ignored Let the Battle Begin). Although he did have some in Hulk Annual 200 but that was a back and forth with KOs for both.